Would you like to help write the third Taylor Davis book? Taylor Davis was created with classroom input. Now that classroom is going wider! Visit my Street Team page to learn how you can be involved in the writing and editing process. It’s a unique publishing experience for kids. Coming summer 2019. Sign up now! Finalist for the 2015 kid-judged Wishing Shelf Independent Book Award (Flame of Findul). Lauded by kids for its snarky humor, the Taylor Davis series was first published as two six-episode, 50-page serial adventures tailored specifically to reluctant readers. Each episode contains high action, crazy predicaments, bigger-than-life characters, and a nail-biter ending that encourages kids to keep reading! Both adventures have been collected into single novels. They are also still available in their original serial format for kids who thrive on shorter reads. Get a behind the scenes look at some of the fascinating research that went into Flame of Findul. I wouldn’t recommend repeating those words to anyone who is dangling you a foot off the ground. My face suddenly felt like it had collided with a cement wall at forty miles per hour. I found myself sliding across the tile floor and coming to rest in the corner of the hallway. I just can’t catch a break. Most of my friends only concern themselves with girls and grades, but I have to worry about retaliation from hellish warlords. When three of my classmates succumb to a strange malady, I become the target of irrational violence. Is it a coincidence, as Elena so firmly believes? Or could there be a deeper, more evil explanation? When the epidemic goes national, my team and I are called on to uncover the root of the problem before violence breaks out on a worldwide stage. Our quest leads us to the heart of Africa, to the underworld, and to a second encounter with an enemy who just won’t stay dead. Get a behind the scenes look at some of the fascinating research that went into Clash of Kingdoms. Flame of Findul has been produced as an audiobook, because audio is great for literacy! When kids take in language audibly and visually, it actually creates connections within different parts of the brain that aid a variety of reading skills: decoding, comprehension, increased vocabulary, fluency, word recognition… Besides all that, professional voice artists make a story that much more fun by bringing it to life. Try it for yourself. Listen to the first chapter! 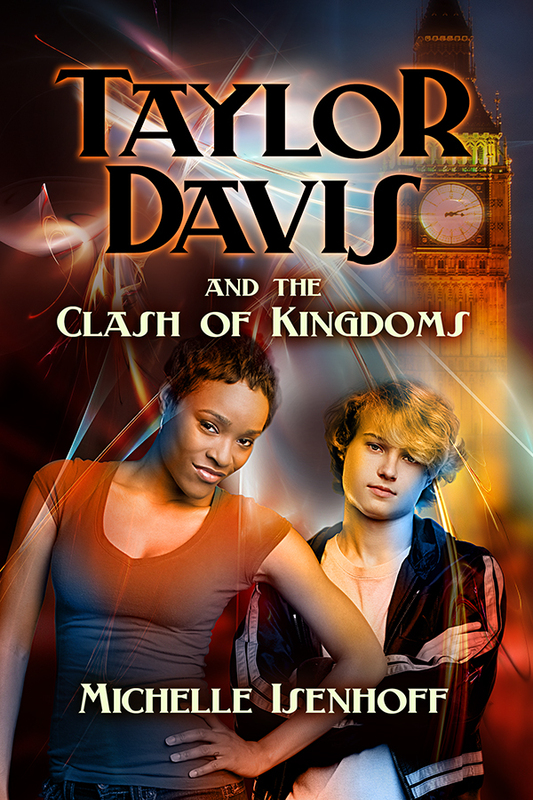 SUBSCRIBE to Michelle’s newsletter to be informed when Taylor Davis book releases.